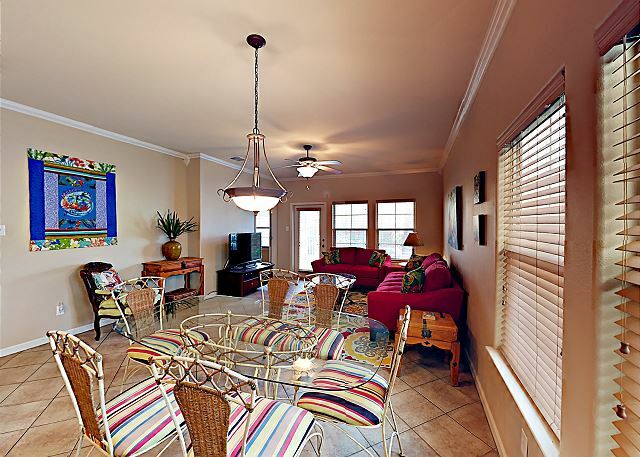 Beautifully Decorated Living Room, Dining and Kitchen all Open Space Condo. 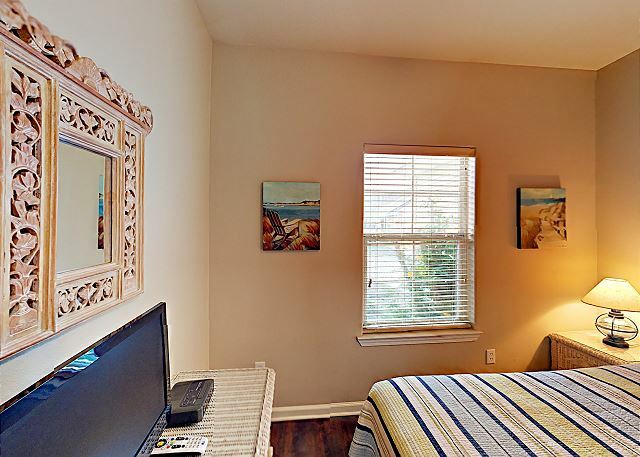 Sleeps 6, 2 bedrooms, 2 bathrooms. No pets allowed. 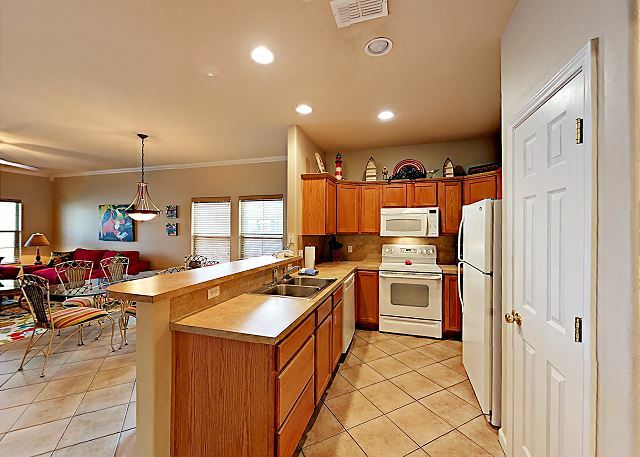 Fully Kitchen, Refrigerator, Coffee Maker, Microwave, Toaster, Cookware, Dishwasher. 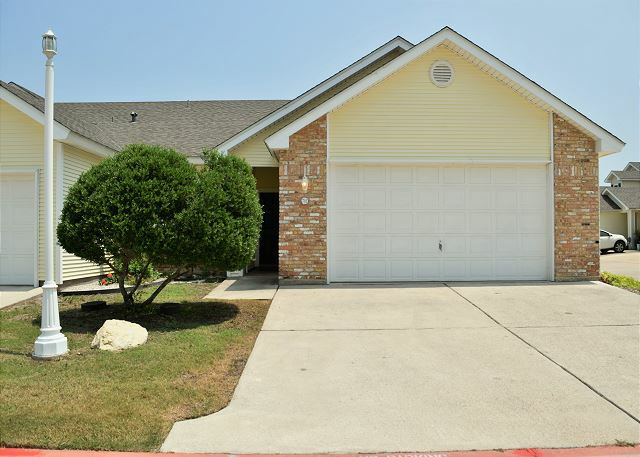 Come enjoy this Great Townhouse in a Nice Quiet Neighborhood. Community Shared Pool. Sleeps 6, 2 bedrooms, 2 bathrooms and sleeper sofa. No pets allowed. Over-sized garage is available for guests to use. 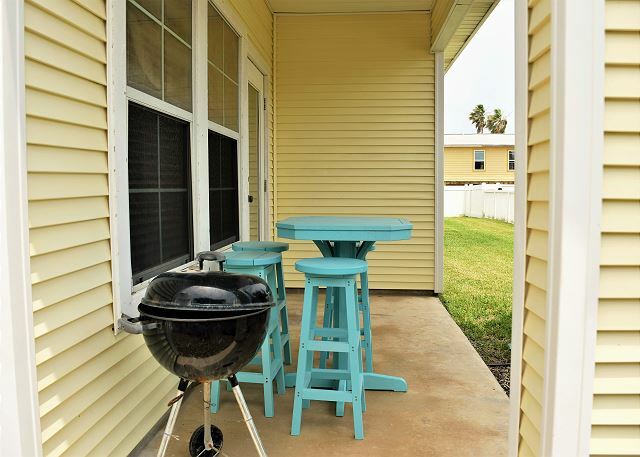 Back Patio, BBQ-Pit, with Swimming Pool Just Feet Away. Sleeps 6, 2 bedrooms, 2 bathrooms and sleeper sofa. Swimming Pool at your back door within steps. No pets allowed. 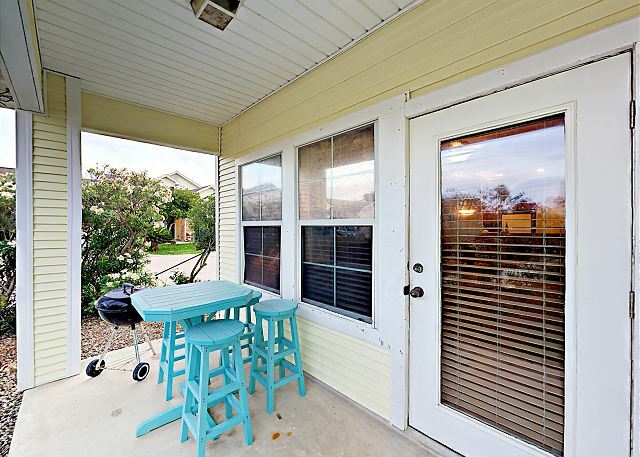 Come enjoy this Great Townhouse in a Nice Quiet Neighborhood. Community Shared Pool. Sleeps 6, 2 bedrooms, 2 bathrooms and sleeper sofa. No pets allowed. 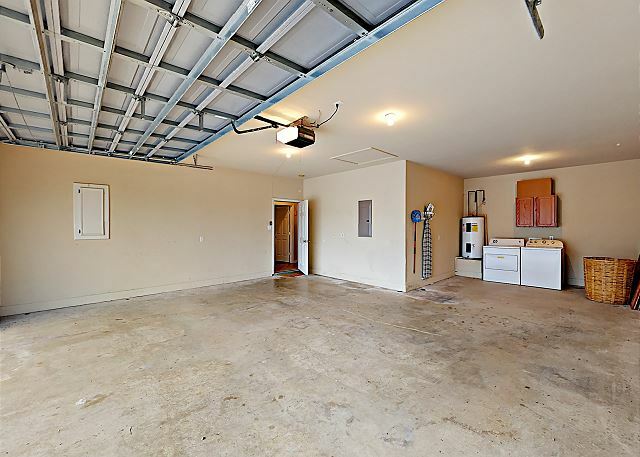 Over-sized garage is available for guests to use. 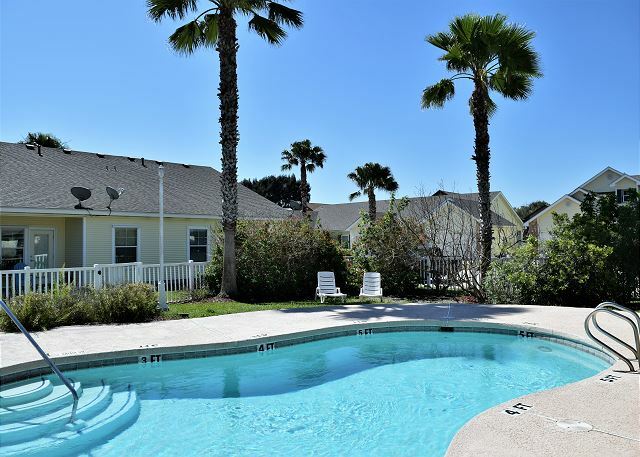 Community Shared Pool Just at your Back Door. 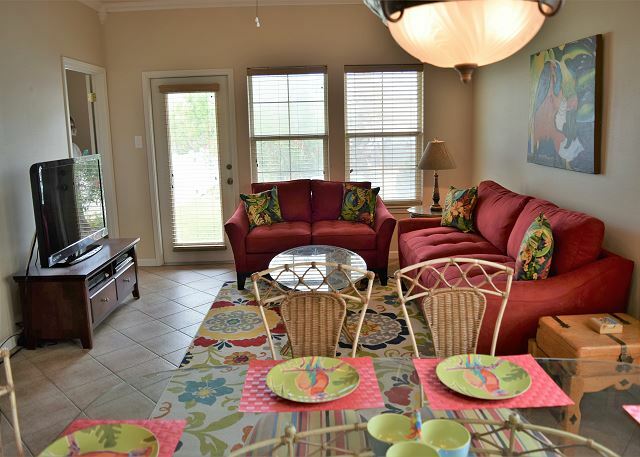 Community Shared Pool Just at Your Back Door. 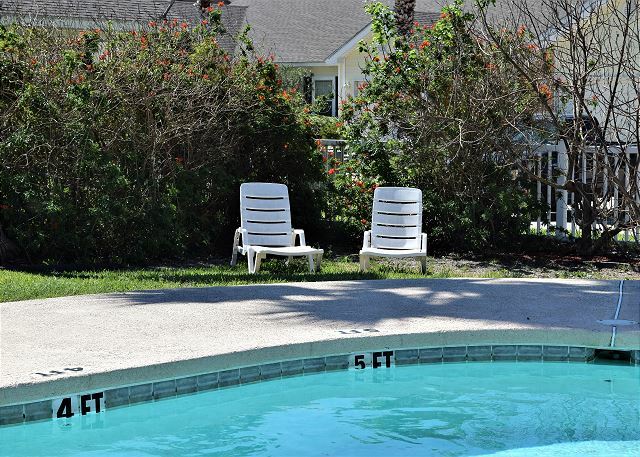 Community Shared Pool Right at Your Back Door. Back Patio View of Swimming Pool from Condo. 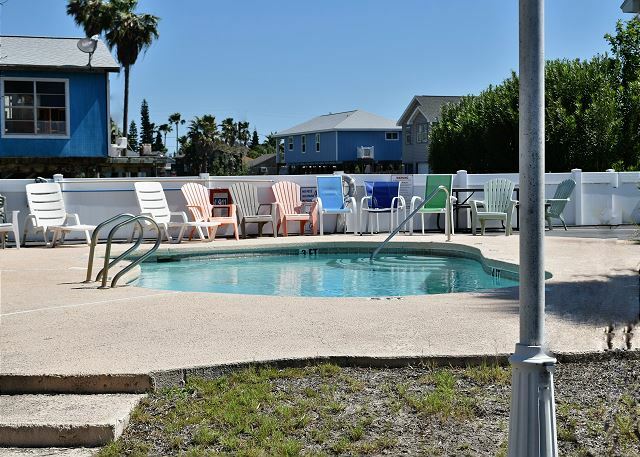 Shared community Pool With Plenty of Chairs and Lawn Chairs to Enjoy. 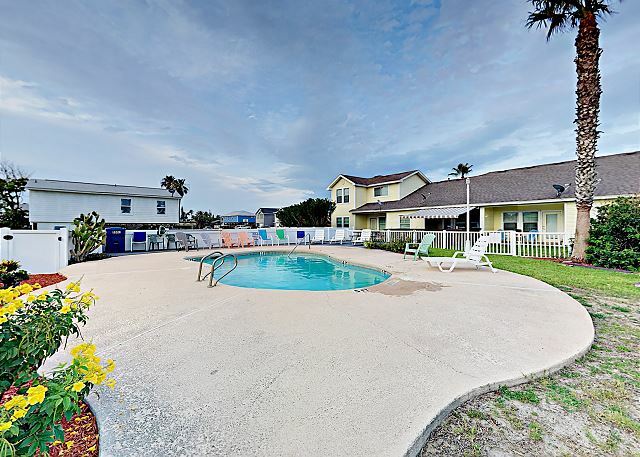 Swimming Pool Just Steps Away From Condo. Large Garage. Great place to park a Bay Boat. 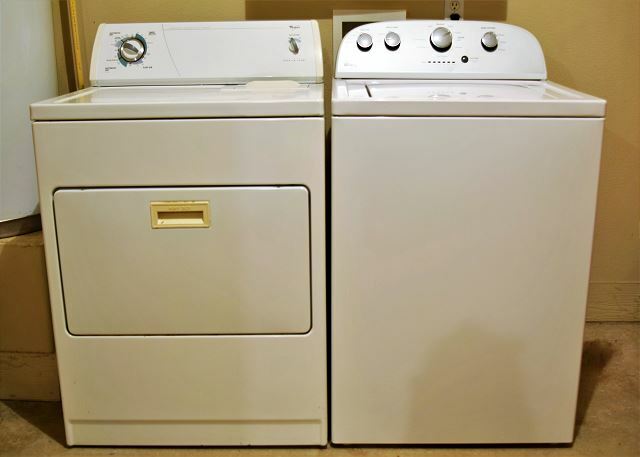 Washer and Dryer Stored in Garage. 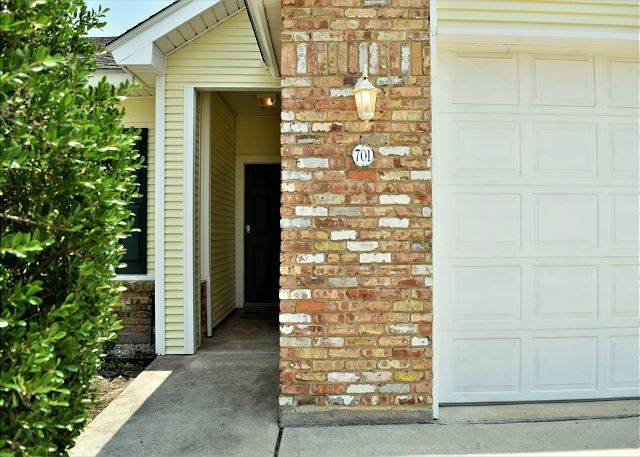 Come enjoy this Great Townhouse in a Nice Quiet Neighborhood. Community Shared Pool. Sleeps 6, 2 bedrooms, 2 bathrooms and sleeper sofa. No pets allowed. 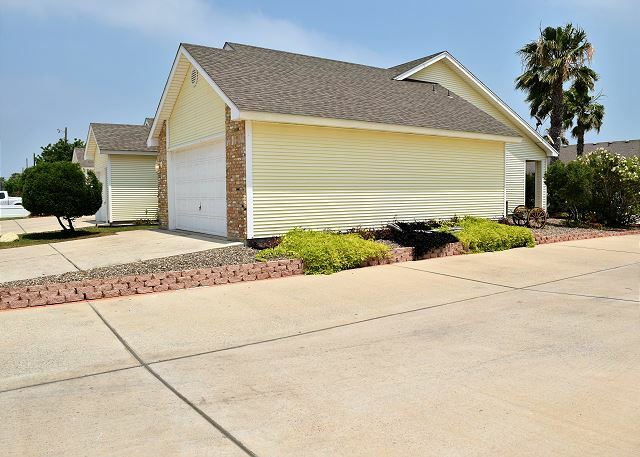 Over-sized garage is available for guests to use Parking available for 4 cars. TV, Love Seat and Sleeper Sofa. Living, Dining and Kitchen all open space. Living room door leads to back patio and swimming pool. No Pets Allowed. 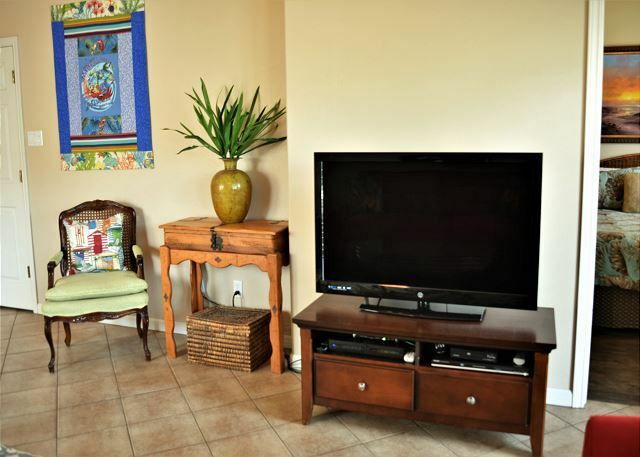 Fully Equipped Kitchen, Refrigerator, Coffee Maker, Microwave, Toaster, Cookware, Dishwasher. 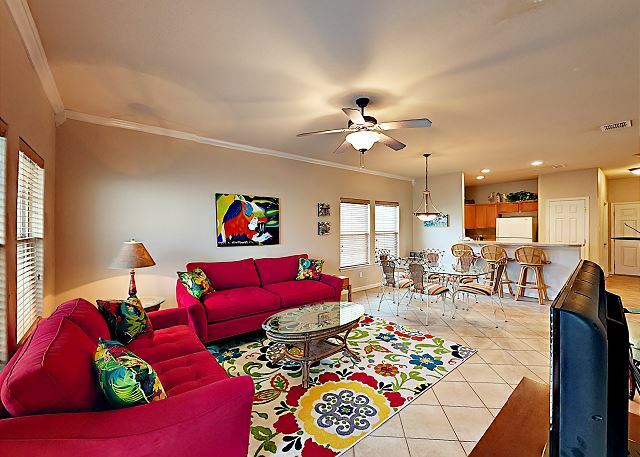 Dining Area, Living room and Kitchen all open space. Living, Dining and Kitchen all open space. Living room door leads to back patio and swimming pool. TV, Love Seat and Sleeper Sofa. 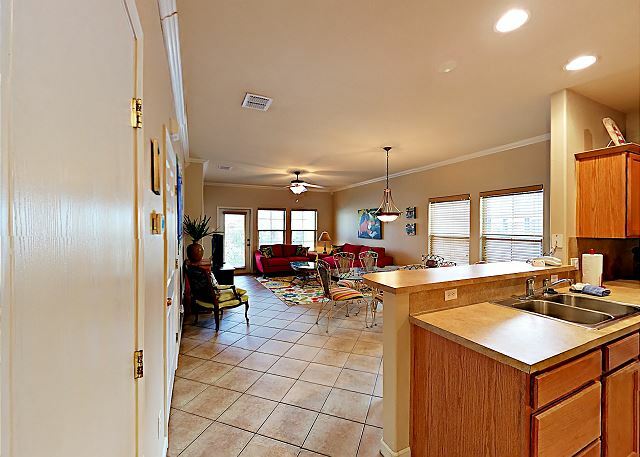 Living, Dining and Kitchen all open space. 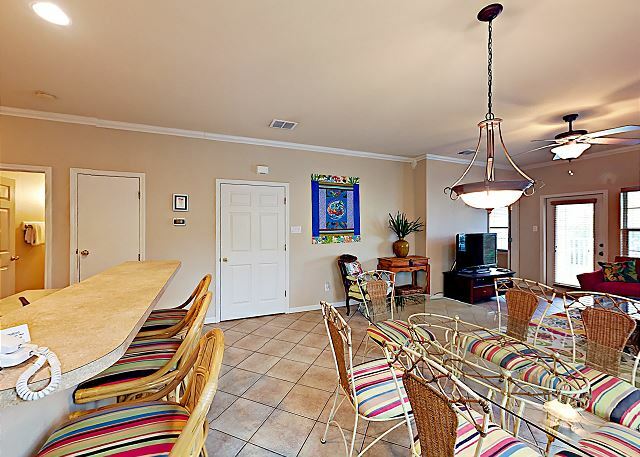 Dining Area, Living room and Kitchen all open space. Bar Stools. King Size Bed, TV, Personal Bathroom. King Size Bed, TV, With Master Bathroom. Shower and Garden Bath Tub, Double Vanity. Shower and Garden Bath Tub, Double Vanity. Queen Size Bed, TV, and Closet. Queen Size Bed, and TV. 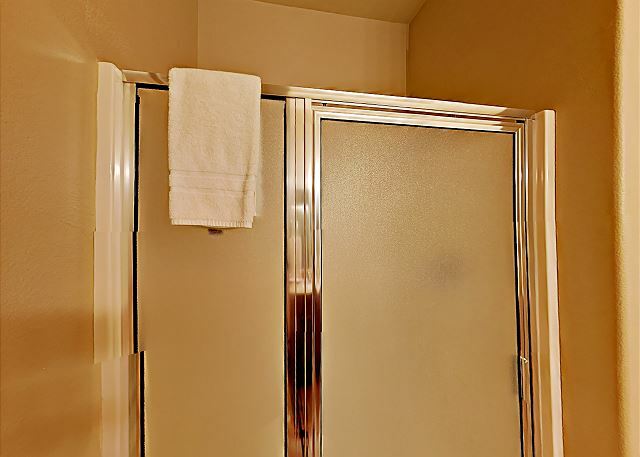 Full Bath, Tub and Shower. 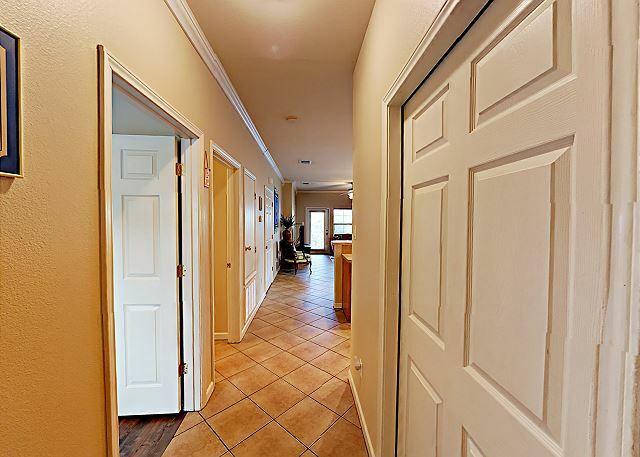 Entry Way to Condo and Car Garage. Washer and Dryer in the Car Garage. 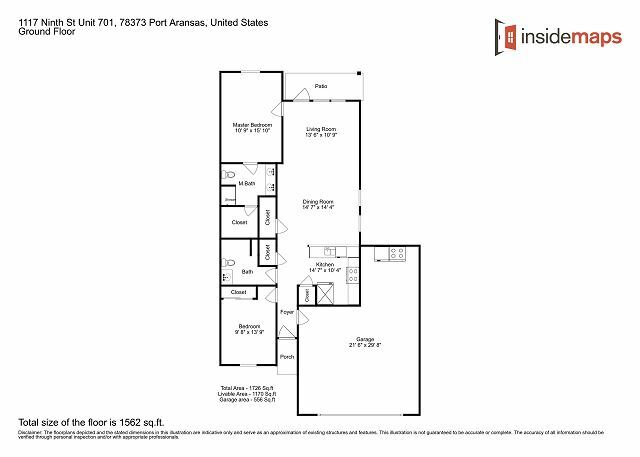 Over-sized garage is available for guests to use and provides space to park a bay boat. Parking available for 4 cars. 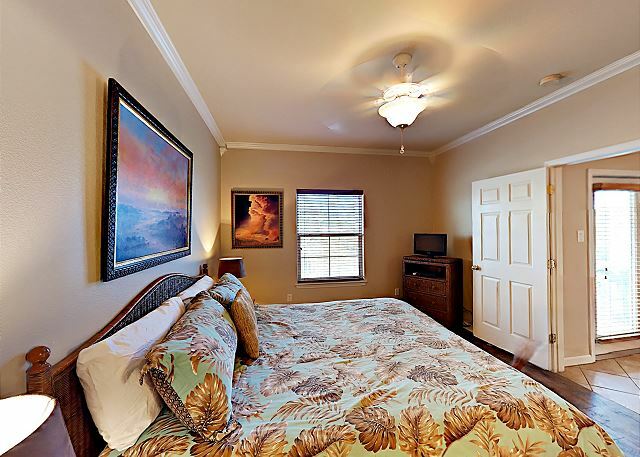 The guest bedrooms offers a plush king size bed with a TV. 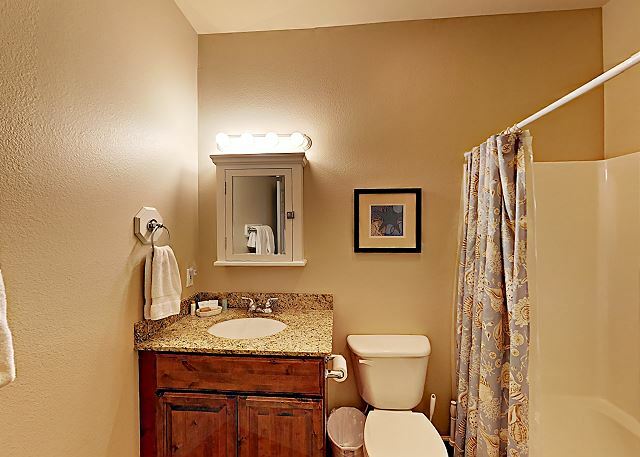 The full size bathroom is right outside the bedroom with a shower and single vanity. 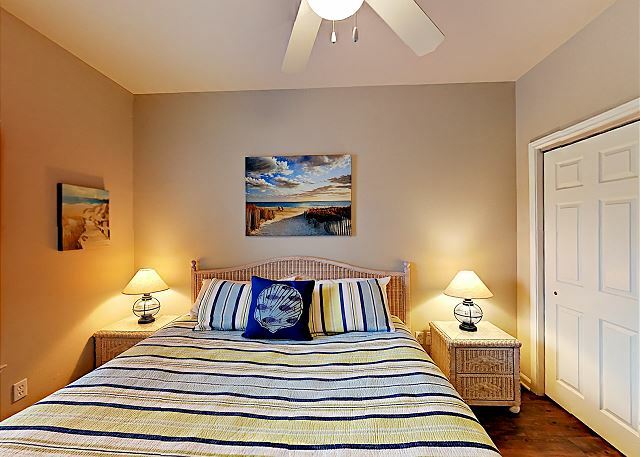 The master bedroom offers a king size bed, TV and en-suite bathroom with a double vanity and shower. 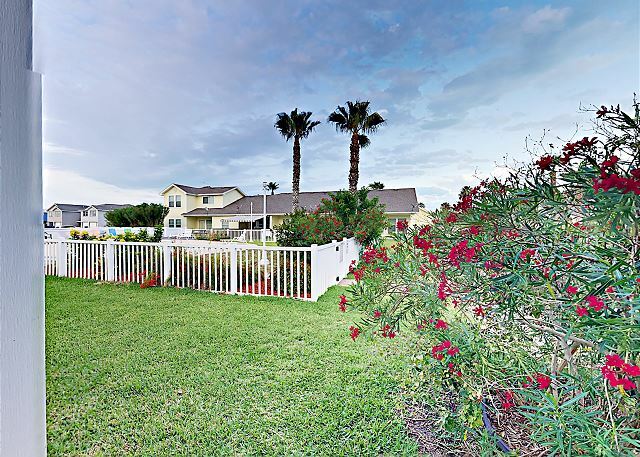 Barefoot Getaway enjoys the best of both worlds. 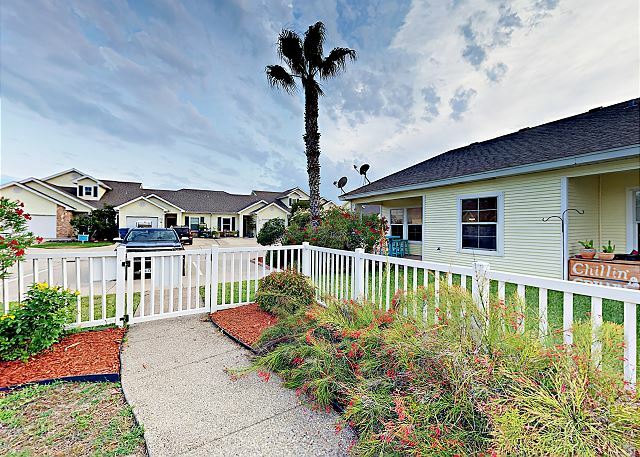 It is within the shopping and dining district, yet only a few block from the Texas Gulf Coast! Last ditch effort to spend time at the beach for the summer. The house was nice. Only a few flaws. The bed in the second bedroom was broken in the middle so everyone in the bed rolled to the middle. Bad sleep turns out cranky people. The kitchen was pretty well equipped except for pots and pans. Not a great selection. If we had known we probably wouldn't have tried to cook. But that's why we stay in these places is so that we can cook and not have to pay to eat out for every meal. Also no corkscrew. Luckily we brought our own. We love staying in these condos. They are always clean and inviting . The beds are super soft and cozy. You can't find a better place to stay for the money. We are glad you enjoyed the rental unit! However we apologize for the mattress having a stain... it looked like a drink had been spilled on the mattress itself, we did call someone to clean the mattress and we do place fresh mattress covers and fresh linens above the mattress. This was brought to our attention when we asked you about your stay at checkout, so we could not correct the problem during your stay. We ask guest to place all the trash in the totes right outside the front door of the property so that any odors of trash do not stay in property before housekeeping goes to clean later that day. Housekeepers focus more of their time cleaning the property, this cleaning fee we charge is for the unit to be cleaned after you checkout. Had a great time. Facilities exactly as described. Only problem I had was a very soft mattress in the small bedroom. My husband and I came home with back aches. 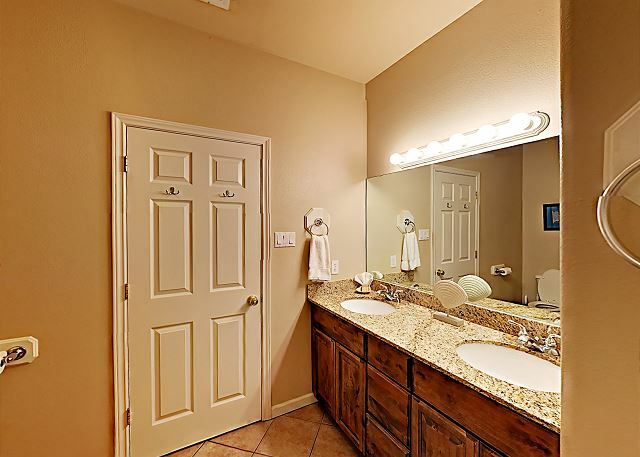 I was so surprised walking in to see how beautiful and spacious this 2 bedroom 2 full size bathroom place was when I opened the door. Then when I opened the back door, the pool was right off the patio. 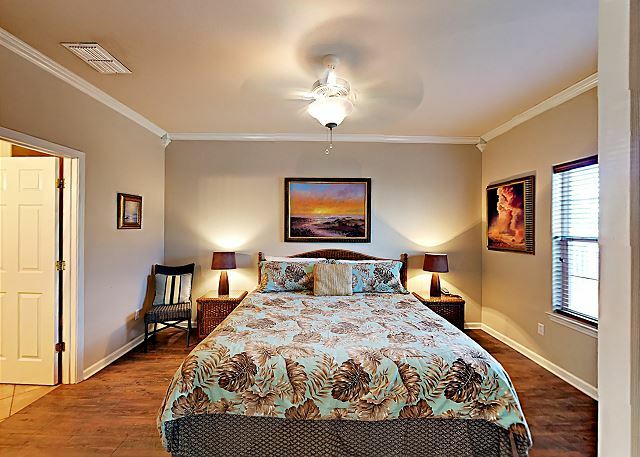 The bedrooms are separated at each end of the house for privacy. The entire place is set up like a model home. Beautiful!